Upholstery cleaning and Fiber Care can be al little pricier than you might think? You might say to yourself why would that be it doesnt look that hard? First let me start by saying that you are first paying for labor as much as anything else, and any tech would tell you that bending over all day and cleaning upholstery and fibers is a literal back breaking job. To have it done properly requires getting on your hands and knees getting every inch of the upholstery. Doing this is also very time consuming getting back to why your paying for labor more and time more than anything else. So without futher adieu on to the pricing. A professional sofa cleaning expenses about $100, even though chairs can cost about $50 every - added costs can be charged for every single cushion. Offered that all upholstered furniture should be cleaned every 12 months, it could get pricey to keep your upholstered pieces fresh and absolutely free of stains.You may would like to take into consideration cleaning upholstery oneself. 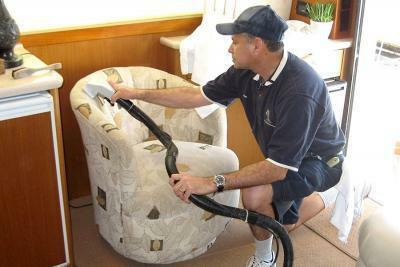 It's not hard, and most upholstery can be safely cleaned at house. Check your upholstery tags for cleaning codes. They are ordinarily located beneath the seat cushions on a single side of your furnishings.Upholstery tags that study "W" or "WS" is often cleaned at house having a water-based cleaner. Upholstery tags labeled "S" need to be cleaned with a water-free dry cleaning remedy. For the reason that dry cleaning solvents contain toxic chemical compounds, it is best to possess "S" rated upholstery cleaned professionally. Upholstery labeled "X" must also be cleaned by a professional.It's not a very good idea to wait too long in between upholstery cleanings. The much more dirt that accumulates around the fabric, the tougher it really is to eliminate, the extra damage it does towards the texture, and the more tough it really is to restore upholstery to its original color and appearance. Prior to cleaning upholsteryBeing cautious to clean uphostery correctly is really a crucial element to execute a job well-done. Comply with these measures to ensure results ahead of tidying up your furniture:1. Remove furnishings cushions2. Vacuum all surfaces completely with an upholstery attachment3. Be sure to vacuum all of the nooks and cranniesOne in the most effective water based upholstery cleaners is extremely quick to produce at dwelling. Put 1 cup of warm (not hot) water into a mixing bowl and then add 1/4 cup of biodegradable dish washing soap. Beat with an electric mixer at medium speed until the liquid becomes a thick foam. This foam will eliminate constructed up dirt and most food or drink stains. Not merely is this cleaner straightforward to make and cheap to use, it's also nontoxic and environmentally-friendly. Most industrial upholstery cleaners include hazardous components like acetone or carcinogenic agents like nitrilotriacetic acid. The cleaning procedure After your prepared to take on cleaning, implement this method to help keep your process on track:1. Test the cleaner in an inconspicuous location for shrinkage and colorfastness 2. Use a soft-bristled brush to rub foam gently onto the fabric 3. Dirt will lift out of your upholstery fabric and in to the foam4. Take away employed foam using a spatula5. Dampen a clean white cloth with fresh water and wipe away the remaining suds6. Rinse the cloth and wipe againTake care to utilize a minimal amount of water. Also significantly moisture can leave water stains and trigger fabric shrinkage. Hold the foam away from wood surfaces like armrests and steer clear of recliner levers to stop rust. This process is often utilized on person stains or on a whole upholstered surface. Should you clean the entire surface, be sure to let it dry entirely just before replacing the cushions and pillows or sitting on it.Leather upholstery is even a lot easier to clean mainly because you do not must wait for it to dry. Make your own leather cleaner by adding a number of drops of moisturizing soap to a slightly damp washcloth. Gently wipe off a section on the leather upholstery, use another slightly damp washcloth to get rid of the soap, then buff with a dry washcloth. Repeat this approach over the whole upholstered region.In in between cleanings, vacuum upholstery completely just about every two weeks and treat stains instantly. If spills are wet, blot the moisture first with paper towels after which spot-treat using a cleaner. If the spill requires solids such as meals, scoop it off having a spatula after which treat using a stain-remover. Stay clear of rubbing staining agents into the upholstery. The water-based cleaner recommended above will lift stains out as an alternative. Why hire?The chief reason you would employ a professional upholstery cleaner is the fact that there are plenty of stains you can't take away yourself. Most furniture is upholstered with specific fabrics that do not respond properly to regular cleaning procedures. Special chemicals are required to clean this upholstery, chemical compounds that most home owners usually do not possess. Experienced upholstery cleaners have experience in using these chemical substances to clean all kinds of furniture.Furthermore, the exceptional shapes of upholstered furniture contact for special tools to clean each of the nooks and crannies located on most furniture. It is not expense successful for most property owners to get these tools. It can be much more efficient to hire an expert upholstery cleaner as an alternative.Cleaning businesses will come for your household and clean the furnishings wherever it truly is located. In uncommon circumstances, a professional upholstery cleaner may have to take your furnishings to one more location to get a special cleaning. This will only happen inside the case that the furnishings is particularly soiled or when it is made from an incredibly unusual fabric.Many of the chemicals that skilled upholstery cleaners use are similar to the chemical substances utilised inside the dry cleaning of clothing. As a rule, these chemical substances are usually secure for people and animals as soon as they've dried. At the same time, even so, they can bring about respiratory issues, so it can be vital for upholstery cleaning to normally take location within a well-ventilated region.Probably the most hazardous upholstery cleaning chemical substances are these chemicals that contain volatile organic compounds. These chemicals are nevertheless secure when they've dried, but they can bring about respiratory challenges if they may be inhaled. To stop these troubles, make certain to ventilate properly the room in which the furnishings is cleaned. People that are specifically concerned about these chemicals can hire an expert upholstery cleaner that utilizes chemical substances with low levels of volatile organic compounds. There are also numerous specialist upholstery cleaners that use green chemical substances, which are chemical compounds which are not harmful to people, animals or the organic environment. Be sure to tell anyone that your hiring about any sensitivity or allergy problems so they can clean with precautions. After cleaning your upholstery and fibers you may want to consider protecting them with a fiber shield. This will help to prevent staining in the event of spills and other accidents. Prices for fabric shields are usually priced by the lenier footage.